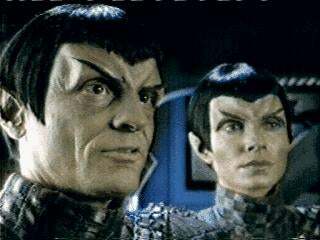 Collins said his and Bana's Romulan look could have been somewhat inspired by Pirates of the Caribbean. "We're space pirates," Collins explained. "Think of Johnny Depp as a Romulan." And get ready for some surprise appearances in the movie. "There is, but I better not say," Collins said of possible big-star cameos. "There are certain things that as kids growing up, whether it's Star Trek or other shows at the time, all you got to do is really just hear their voice and your heart warms." Asked if he was referring to characters and actors from the original television series, Collins simply smiled and said, "Maybe."